Tournament Player's Stadium golf Course fourth hole picture. 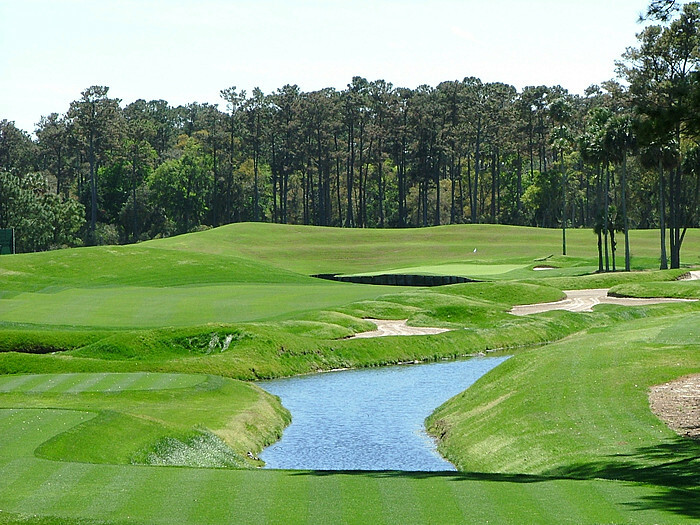 Here's a great picture of the 384 yard par four fourth hole at the TPC Stadium Course home to the Player's Championship! It's 245-50 over that first bunker in center of the picture and roughly 280 yards through the fairway at the mound in the left side of the picture. The green is undulating and the left hand pin positions are all protected by water. A great short hole!